Megan Racing Radiator Hoses - Pann Auto Performance - San Diego largest aftermarket automotive performance parts - What do you drive? The powerplants in today’s vehicle are extremely efficient as technology advances every year. Motors are producing more horsepower and torque while becoming smaller and lighter to increase the overall efficiency of the vehicle. In performance applications we always strive to push every ounce of energy and efficiency out of our engine’s but most fail to realize that the more you upgrade your motor that you must also upgrade the other components in your vehicle to match the output of your motor. Horsepower is one of the most sought after goals with engine tuning which is in actuality a measurement of energy/heat. So as we increase our horsepower, we also increase the heat that our engines push out. This places a strain on our OEM Cooling systems which can easily be overwhelmed. Megan Racing has now developed a line of Silicone-based coolant hoses that are designed to take a higher range of heat and coolant pressures than OEM hoses. 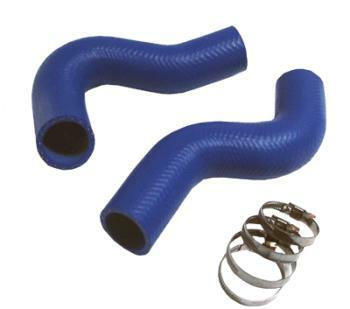 Silicone has a much higher tensile strength than the OEM rubber hoses which will prevent the hoses from expanding which will keep your coolant from creating air-bubbles in the system which can reduce the efficiency of coolant flow throughout your powerplant.